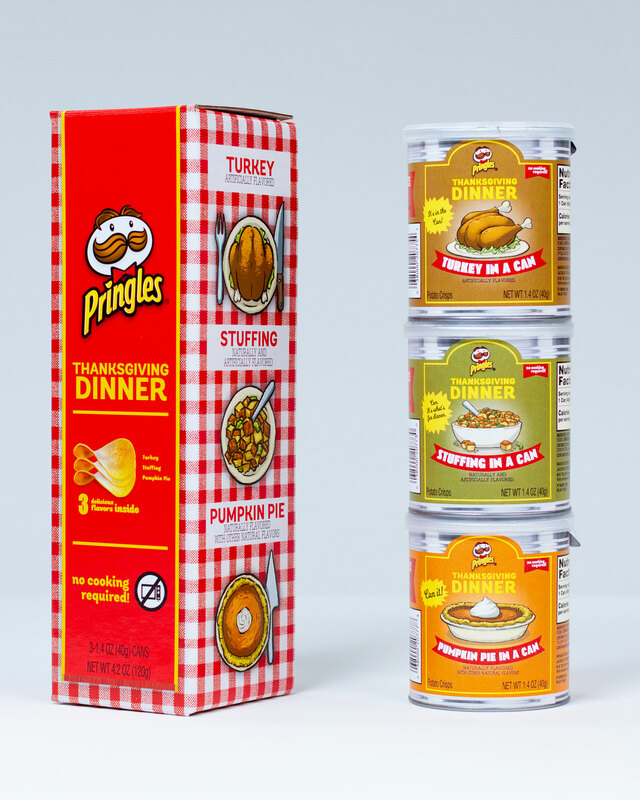 Last year, Pringles made headlines with an incredibly well-planned stunt: The potato chip brand created a box featuring Thanksgiving dinner entirely in Pringles form — eight different flavors from the obvious like Turkey, to the more unexpected like Green Bean Casserole, to even dessert with a Pumpkin Pie chip. 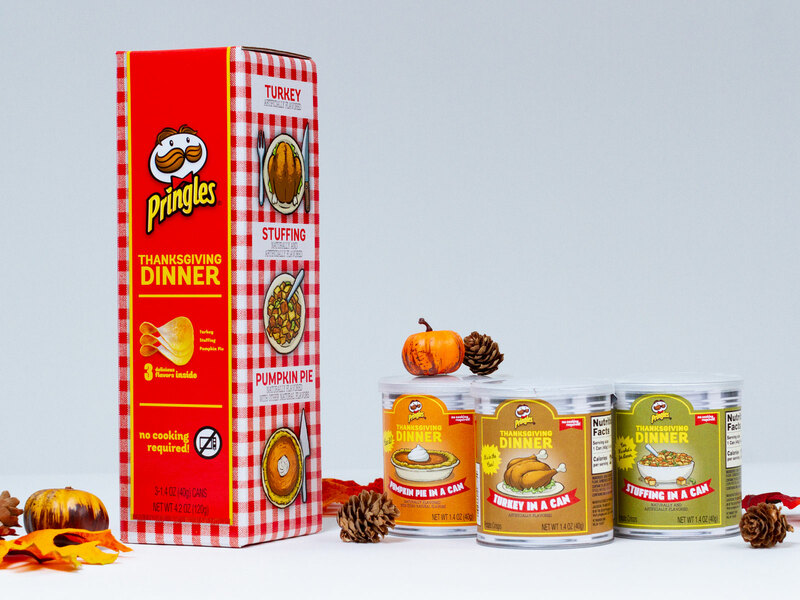 Then, to assure the release garnered an extra bit of buzz, Pringles only offered this special Thanksgiving Dinner package to a selection of handpicked people — including yours truly. After digging into last year’s box, which was cleverly shaped like a microwave dinner, I dubbed the experience “a fun novelty”: Though all eight flavors weren’t perfect, we definitely enjoyed trying each of them and getting a chance to recreate the biggest meal of the year as a snack. Pringles Thanksgiving Dinner is once again planned as an exclusive promotion, though nowhere near as exclusive as last year. The three-pack boxes are set to go on sale on November 6 at 11:59 p.m. ET when they can be bought for $14.99 a pop at https://www.kelloggstore.com/pringles-thanksgiving-in-a-can and delivered anywhere in the country. However, the brand stressed that supplies are limited and will be sold “on a first-come, first-serve basis.” Just how long that means they’ll be available for is yet to be seen. To be honest, $14.99 seems a bit expensive for what is essentially a single tube’s worth of Pringles — especially since the brand eschewed some of the most unique flavors from last year like Green Bean Casserole (great! ), Cranberry Sauce (interesting! ), and Creamed Corn (not great!). That isn’t to say you won’t enjoy this year’s Thanksgiving Dinner; the Turkey flavor was also a standout from last year. It’s just meant as a heads up to know what you are getting.